This cake was made for a couple that was having a small wedding and reception. About 40 people. 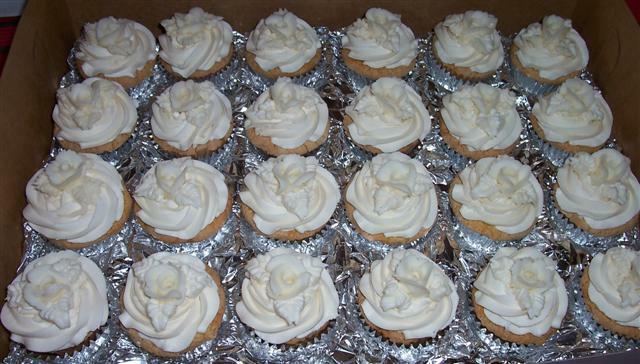 The flavor for the cupcakes and wedding cake was yellow butter cake with vanilla butter cream frosting. 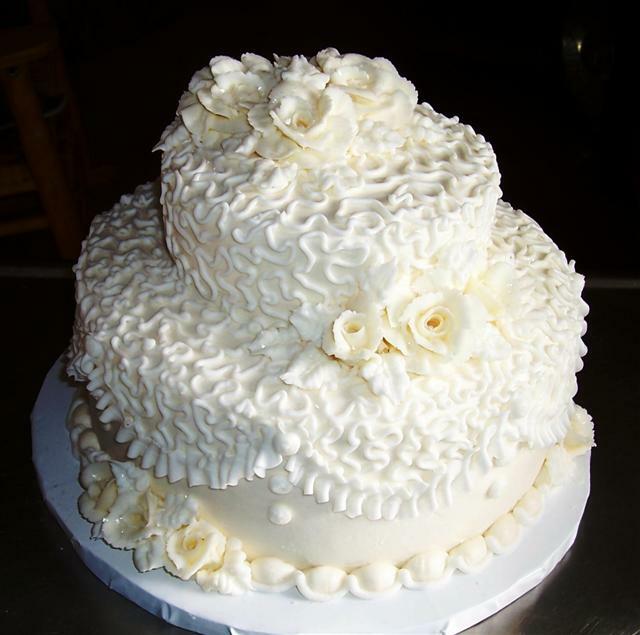 The handmade white roses were butter cream.